Finally, Facebook-owned company WhatsApp has launched its Business app for everyone to download in India. This is actually a pretty simple tool for small businesses to let them communicate with their clients and customers in an easy way. You will be blown out with the features it has. The new WhatsApp business app is launched in Indonesia, Italy, Mexico, the UK, and the US, on Friday. WhatsApp Business app is free to download and use. Currently, it is available to free download via Google Play Store in India. Targeted at small businesses, the WhatsApp Business app allows companies to connect with their customers and be a part of the messaging platform that has over 1.3 billion users worldwide. Unlike the original WhatsApp app, the business-centric offering allows businesses to create their own profiles with information such as business description, email, or store addresses, and website. It also provides smart messaging tools to let businesses use quick replies and give fast answers to frequently asked questions. The app also has options to send greetings messages to new customers and set away messages when the companies are busy. Further, there are metrics such as the number of messages read and WhatsApp Web support to let companies send and receive messages directly through a desktop. “People can continue using WhatsApp as usual – there’s no need to download anything new. And people will continue to have full control over the messages they receive, with the ability to block any number, including businesses, as well as report spam,” the company said in a blog post. The app is yet to be rolled out in South Africa but is expected to be launched within the coming weeks, as will all new WhatsApp features and emojis. 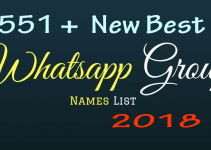 How to download and register for WhatsApp Business? WhatsApp Business app is now available to download from Google Play store. After installing it, businesses can register on WhatsApp Business using a number that is different from the number used in WhatsApp Messenger. Businesses can even use their landline numbers to register themselves on WhatsApp Business. After enrolling themselves with the landline numbers, the businesses will have to ensure that the customers should be able to call the numbers. After the business is done with the phone number verification process, it will be asked to enter a name for its business on WhatsApp. Remember this name can be set only once, and cannot be changed later, so choose a name that you think will help customers identify the company or business. The WhatsApp Business app is presently available only for small businesses that can use the tools and features to connect with their customers. It was earlier available in beta version but the company has now rolled out a stable version in Google Play store. The WhatsApp Business app comes with features such as Business Profiles, Messaging Statistics, Account Type, and Messaging Tools that include ‘quick replies’, ‘greeting messages’, and ‘away messages’. In addition, the WhatsApp Business will also work on desktops with its WhatsApp Web version. Talking about the WhatsApp Business features in detail, the Business Profiles will contain the account information of a business with the details such as a business description, email or store addresses, and website. This will inform the user about the company, its services, and products. The Messaging Statistics will let the business review metrics like the number of messages and chats read to keep a count. The Account Type is essentially an indication to the customers that they are chatting with a business as it will be listed as a Business Account to distinguish from the regular profiles. The Business Account will also get confirmed after the process of matching the account phone number with the business phone number is complete. The Messaging Tools are designed to ease the process of connecting with the customers where ‘quick replies’ will give fast answers to some frequently asked questions by the customers, ‘greeting messages’ will introduce the business to the customers in the chat, and ‘away messages’ will respond on behalf of the business in its absence to attend the chat. WhatsApp notes in its blog that WhatsApp Business supports all other features similar to the regular version of its messaging app. “People will continue to have full control over the messages they receive, with the ability to block any number, including businesses, as well as report spam,” reads the blog post. 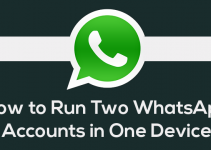 As we said, the Google Play listing of the app says that users can run both WhatsApp Messenger and WhatsApp Business apps on the same phone, however, each app must have a number different from the other one. Features such as free calls, international messaging, group chats, and offline messages have been retained from WhatsApp Messenger.